Are you ready for season, gear-wise? We have the solution! Reply to this email if the flyer below sounds good-15% off shopping at our store with friends & teammates while sipping and snacking. Choose any day or night time-slot that works for your group and then show up! We have a great time, chatting with staff about string, racquets, shoes & more while trying on clothes and accessories. This is a fun event for women and men and the discount extends to all who attend! Let's pick a date! 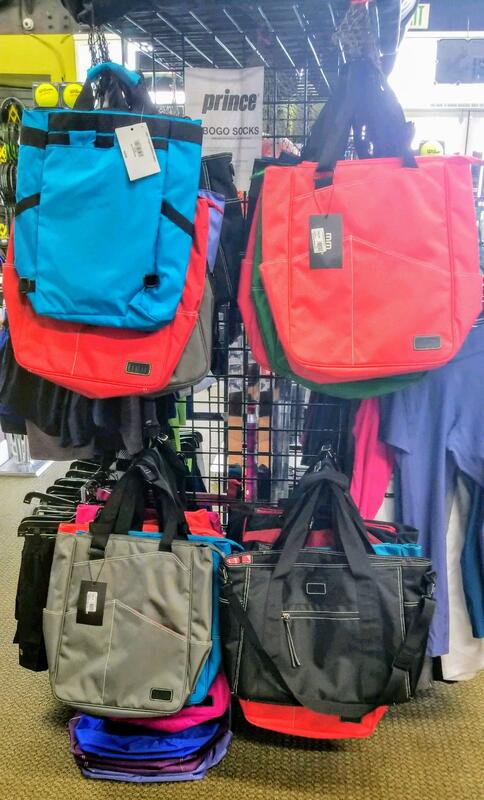 How about a bag to carry your gear? SO many bags have come in & here are some you might like! Time to Tune It Up! Give your racquet some love & change out those old strings, maybe update your racquet & get yourself a new tight dampener to absorb the shock. 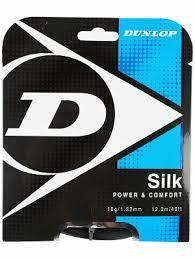 Ask us which string gives more power, more control, lasts the longest, gives the most spin. 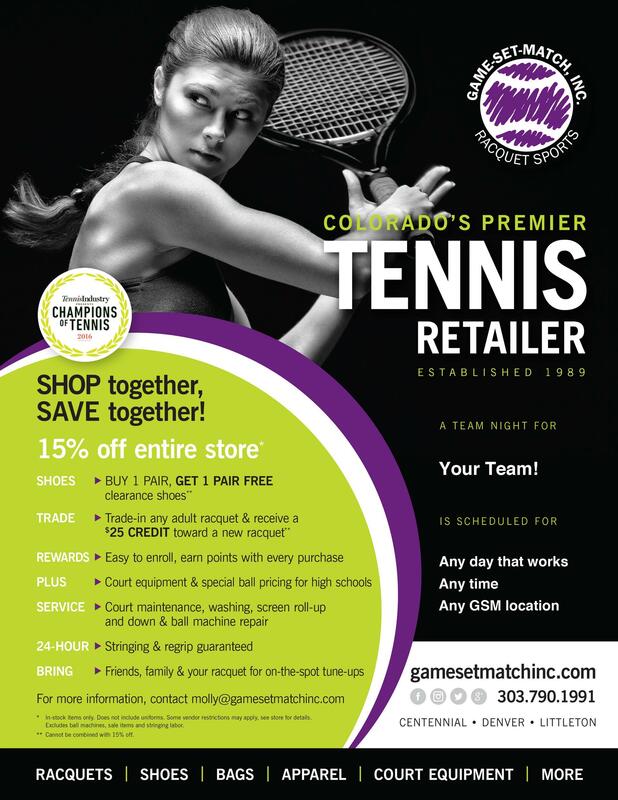 Let's get things together in the store-prep your game with us! We love chatting with you about the game and are thrilled to serve you in the store. See you soon!